Nasa says that a series of slow, bright lights seen across the southeastern United States on Monday evening “was not a meteor or fireball”. 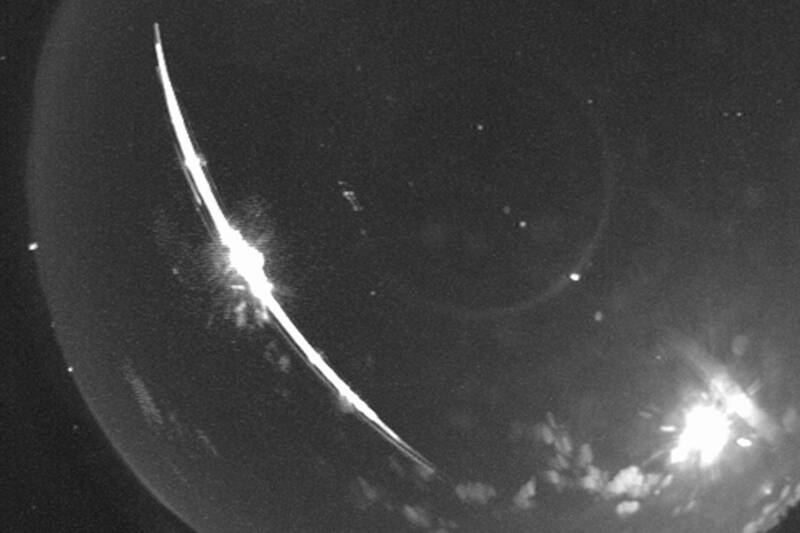 The space agency says that from the data it currently has about the event, which was caught on camera and reported more than 150 times on the American Meteor Society website (and more “enthusiastically” on Twitter), indicates it was too slow to be a natural (and well timed) visitor from above. One witness said the event was marked by, “two bright objects close together, both with long tails…gradually separated as they crossed the sky”. Instead Nasa thinks the object, which moved at about 14,500 miles per hour across the night sky at around 12.30am, was possibly the reentry of a piece of space debris. Exactly what the debris was is not clear, however. Bill Cooke, Nasa’s head of the Meteoroid Environment Office, said that the object was reported to “have multiple colours and to have broken up into multiple pieces”. What it definitely was not, despite what legions of Twitter sky watchers had to say, was an alien spacecraft. “There are four distinct objects, a bright object ahead of the main one… and two fainter ones after that… That’s typically what you see in a re-entry,” he said. So no, not aliens — but not an asteroid either. While that might have been pleasing in PR terms for the team at Asteroid Day, it’s probably a good thing for the people living directly below the event.